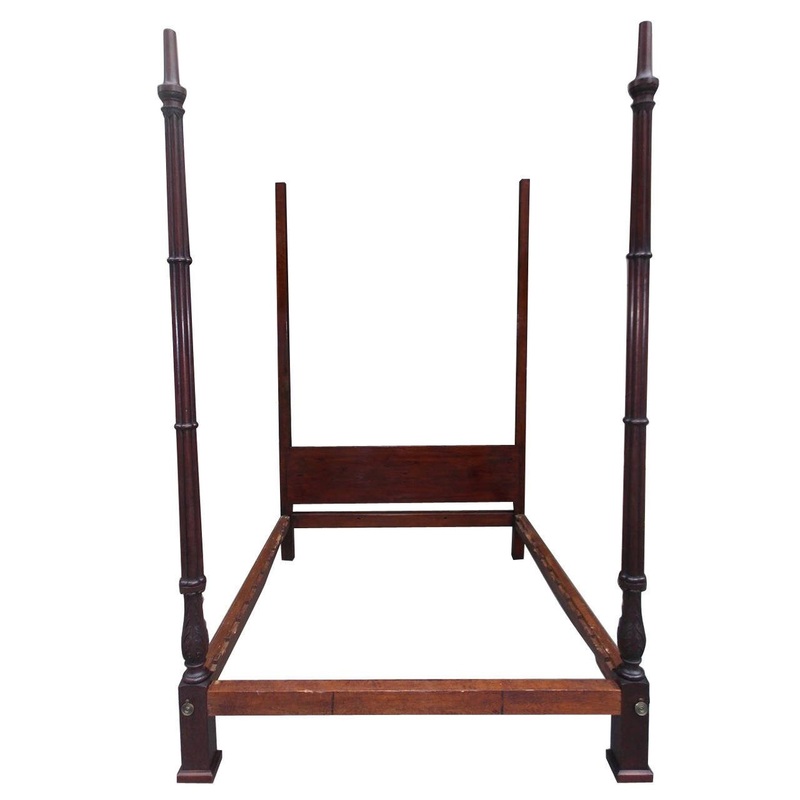 English Chippendale mahogany and deil four-poster bed with decorative bulbous, fluted and acanthus carved post, terminating on squared plinths with Marlboro feet. Bed is queen-size with a mahogany carved tester, Late 18th Century. H 94 in. x W 61 in. x D 76 in.